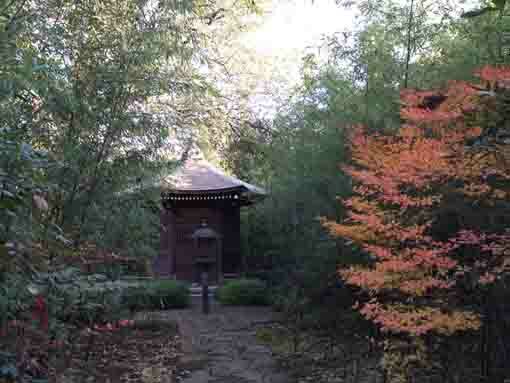 There is a temple having an elegant atmosphere on between Satomi Park and Junsaiike Pond Park on Konodai High land, it is Genkoji Temple, the branch temple of Ekoin in Ryogoku famous for having the tomb of the great thief in Edo period named Nezumi Kozo Jirokichi. 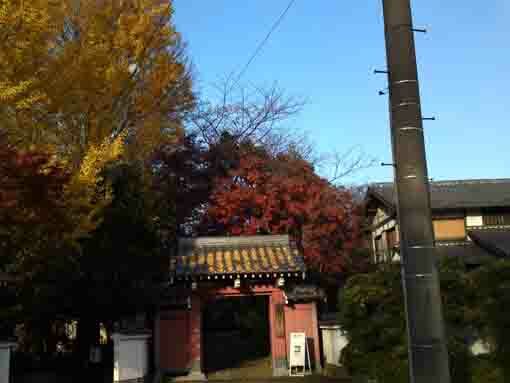 Passing through the red small Sanmon Gate of Genkoji Temple, there are tall trees covered with its approach road seemingly like a forest and Hitokoto Kannon is in the forest. 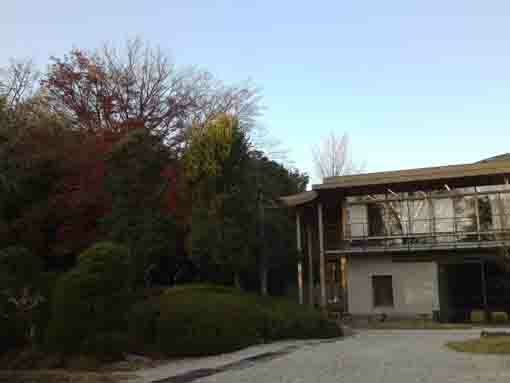 The end of the approach, the fashionable modern building like an art museum standing is in the open space in the end of the approach road, it is the main hall of Ekoin Branch Temple in Ichikawa. Moreover, the cafe named Cafe Terrace Ekoin is opened in the 2nd floor in it. 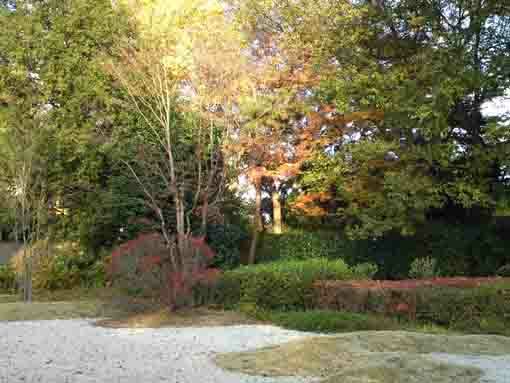 Visitors could enjoy seeing its beautiful stone garden and feeling time passing by slowly. Anyway, the main hall of Genkoji Temple was awarded Chiba Cultural Architecture Award and the Excellence of IES Illumination Awards. 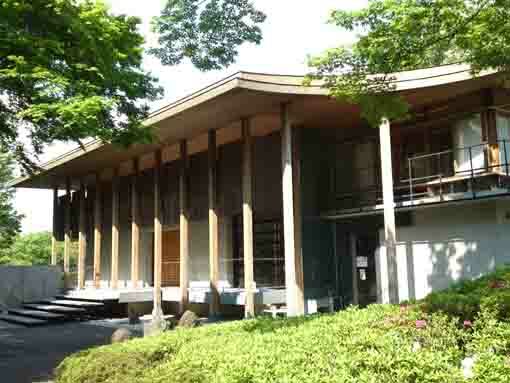 Visitors could be satisfied at experiences in Ekoin Branch Temple in Ichikawa since they could feel like staying in Kyoto since the temple gives traditional image to them that its modern main hall stands in the bamboo woods and the stone garden. In addition, Konodai Green Area opposite Ekoin, and it is in the middle of the green belt connecting Satomi Park to Junsaiike Pond Park. 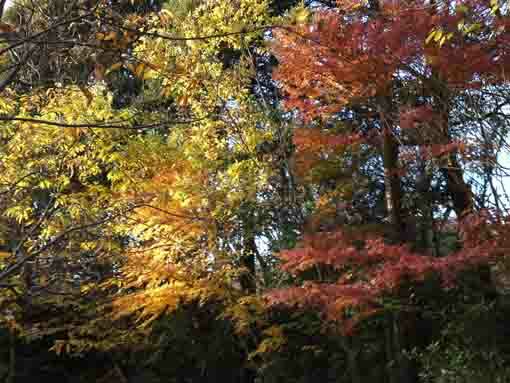 In fall, the woods in the Area are covered with colored leaves, visitors enjoy seeing the spectacular views for autumn leaves in nature in Ichikawa. Why don't you visit Genkoji Temple? 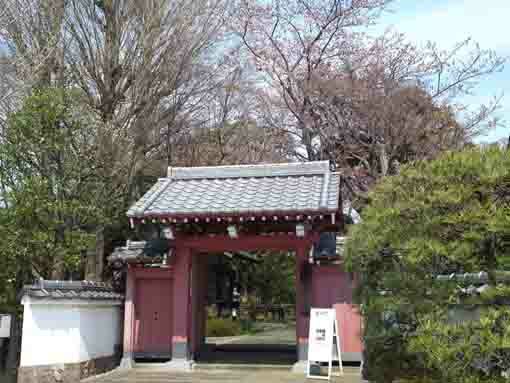 Ekoin Temple is a temple belonging to Jodo Shu Sect in Buddhism in Ryogoku Sumida Tokyo. Its name is Kokubusan or later Shoshusan Muenji Temple. 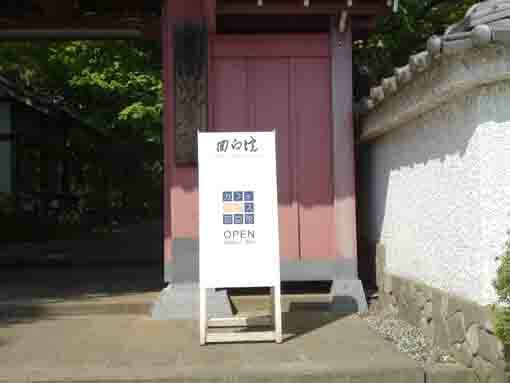 The principle image of the temple is Amida Nyorai. Ekoin Temple was built to hold services for departed souls of over hundred thousand victims of the fire happened in 1657. Ietsuna Tokugawa, the fourth Shogun of Edo Bakufu ordered holding the memorial services to the venerable Junyo, the 23rd abbot of Zojoji Temple and he managed the services and built a mound called Mannin Zuka (the mound for several thousand people) on near the eastern bank of Sumidagawa river. 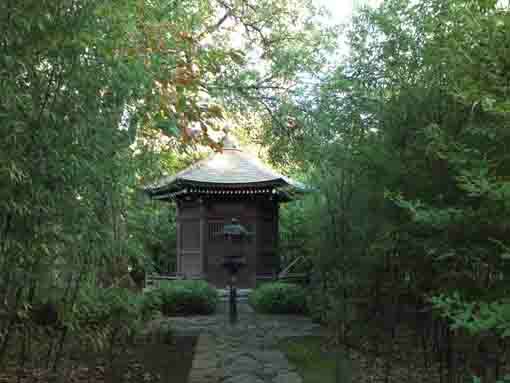 A small hall to pray to Amida Buddha built beside the mound was the beginning of Ekoin Temple. This is the principle concept that Ekoin could have kept preaching the mercy of Buddha to all creatures those who could be related to or not, therefore, it had held thousands of memorial services for thousands of people's souls including be drowned, be burned, be executed, be died in prison and by disasters such as the great earthquake happened in 1855. In addition, the charity sumo wrestling had annually performed in Ekoin in Edo period, then, Ekoin is the birthplace of the Grand Sumo Wrestling and it was the reason for building the former Kokugikan Hall in Ryogoku. And Ekoin had held exhibitions of many famous and popular principle images of many temples throughout Japan, so the exhibitions were very popular and many stalls had opened along the approach road of the temple. There are the stone monuments for departed souls of the victims of the earthquake happened in 1855, for miscarried children, for sumo, for cats and so on. 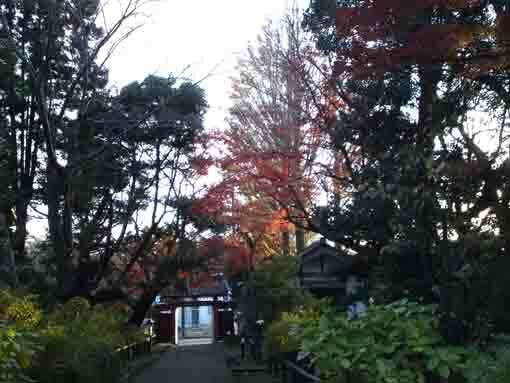 Moreover, Ekoin Temple is famous for the grave of Nezumikozo Jirokichi, the great thief in Edo period, and the grave of Chikage Kato (a scholar of ancient Japanese thought and culture), Kyoden and Kyozan Santo brothers (ukiyoe painters and popular novelists) are in the grave yard. Genkoji Temple, Ekoin Branch Temple in Ichikawa City on Konodai was originally built in Asakusa Tokyo. However, the temple was destroyed at the great earthquake happened in 1923. In 1927, Genkoji Temple was rebuilt in Konodai Ichikawa by the 21st chief priest of Ekoin the venerable Soyo Jogen as a branch temple of Ekoin in Ryogoku. Hitokoto Kannon (one word Kannon) behind the stone garden in front of the main hall is said to be carved by Eshin Sozu Genshin and it was made of the same piece of wood as the sculpture in Toshodaiji Temple in Nara. It was the 27th temple of the 33 Pilgrimage of Modern Edo. The kannon was believed by people living in Edo since their wishes would come true if they prayed their wishes in one word. Hitokoto Kannon was moved from Ryogoku to Konodai since Ryogoku had got much damaged by the earthquake and Konodai had beautiful natural environment when Genkoji Temple was rebuilt. 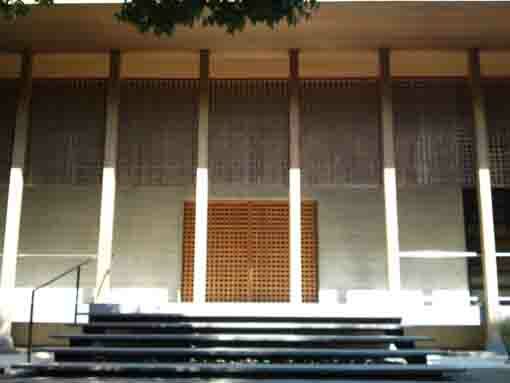 In 2009, rebuilding the main hall of Genkoji Temple had been completed, it was highly evaluated that the hall was a concrete building considering to earthquake-resistant and regeneration covered with pieces of wood to be in harmonized with nature and tradition and the alter in it skillfully shows the dramatically modern space for praying. And it was awarded 16th Chiba Cultural Architecture Award and Excellence in Interior Lighting Design field of 2011IES Illumination Awards. It is excitingly beautiful that the main hall merges into the quiet and green yard. Besides, there is a cafe 'Cafe Terrace Ekoin' in it. Genkoji Temple gives visitors their comfortable space to enjoy time slowly passing by. If you take your mind off your busy. 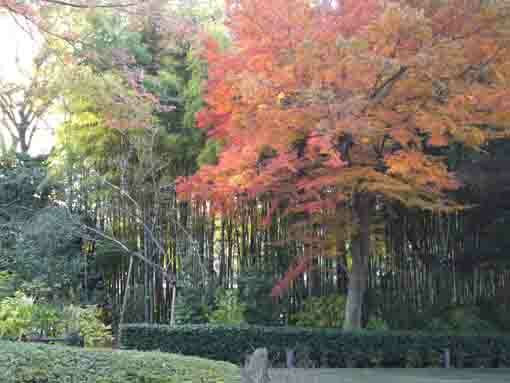 Fall in Ekoin Branch Temple in Ichikawa is great. 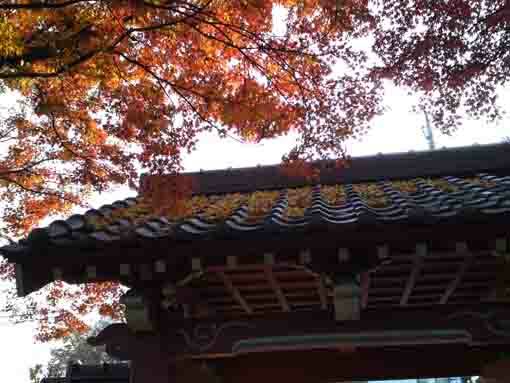 A gingko tree with golden leaves and a maple tree with reddish leaves paint the red sanmon gate in their color, and the stone garden is decorated with several colored trees. 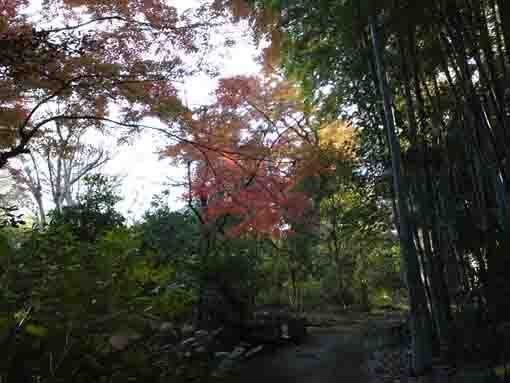 Moreover, the contrast between deep green bamboo woods and reddish leaves are amazingly splendid. 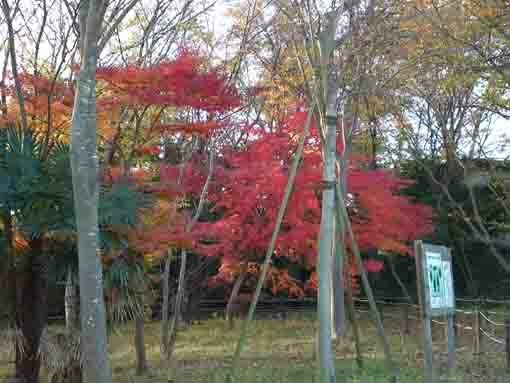 Why don't you take a break at Cafe Terrace Ekoin after you enjoy seeing colored leaves in Satomi Park and Konodai Green Area, and before you go to see colored leaves in Junsaiike Pond Park? 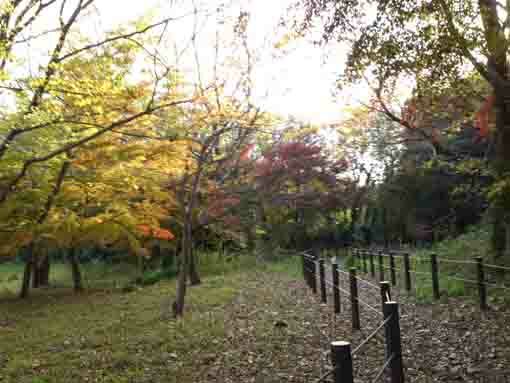 Konodai Green Area is woods on the northwestern part of Ichikawa City, the city issued that the area could be a base of verdure preserving nature and woods, the city planned the corridor connecting water and woods, it includes Edogawa River, Satomi Park, Junsaiike Pond Park, Kozukayama Park and Horinouchi Mound Park. 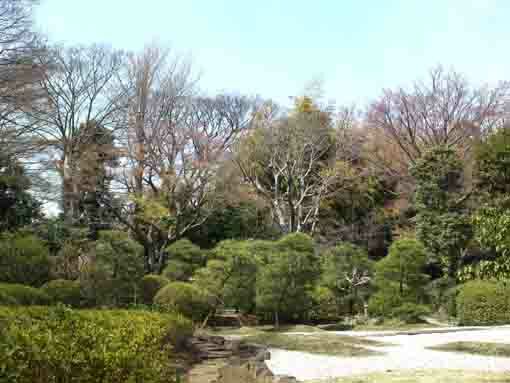 Konodai Green Area is on between Satomi Park and Junsaiike Pond Park, and it is opposite Genkoji Temple (Ekoin Branch Temple in Ichikawa). It is one of the best route to enjoy walking. 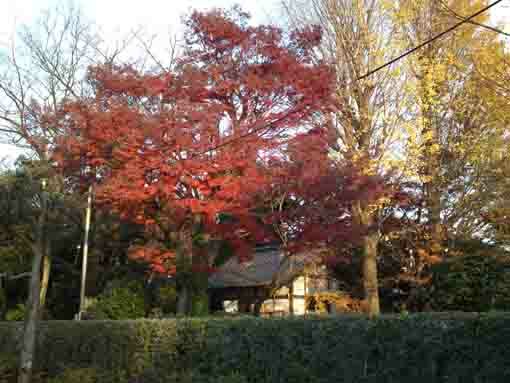 Konodai Green Area is a wood existing in the residential area of Konodai on the northwestern part of Ichikawa city. It was registered as an urban green belt, it was a base of the corridor with water and woods placed by the basic plan of venture in Ichikawa city in February 2005. Konadi Green Area is about 5.1 hectors. The wood is a mixed wood so it has evergreen trees and deciduous trees in it. Ekoin Branch Temple in Ichikawa Genkoji Temple and Konodai Green Area have great accessibilities from both Narita and Haneda International Airport. From Narita International Airport, take Keisei-line and get off Konodai Sta, take minimally 45 minutes from Narita Airport. And also take Keisei Narita Sky Access line bound to Nippori Sta or Haneda International Airport and get off Shin Kamagaya Sta, transfer the line to Hokuso line bound to Nishi Magome or Haneda International Airport and get off Yakiri Sta. From Haneda International Airport, take Keikyu-line bound to Narita, and get off Konodai Sta. And also take Keikyu-line bound to Inba Nihon Daigaku (Nihon University) and get off Yakiri Sta. 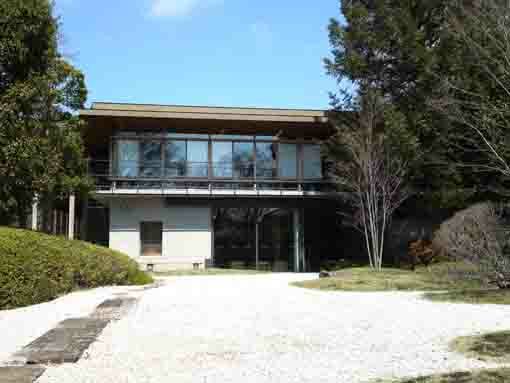 Take 8 minute walk from Yakiri and 24 from Konodai Sta. 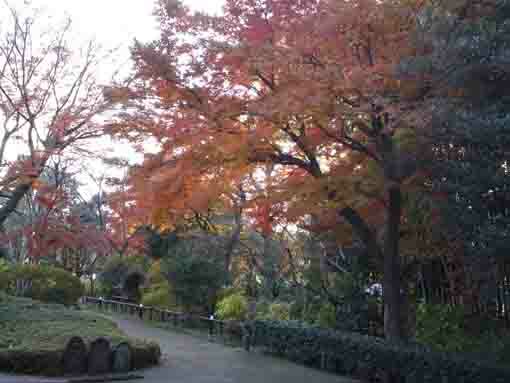 The park is the noted scenic spot to see cherry blossoms, roses and colored leaves with many historical heritages. It was treated as a high ranked temple as same as Upper Class Daimyos by Tokugawa Bakufu in Edo period. 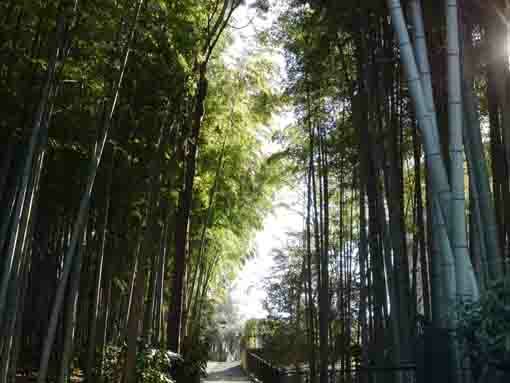 This temple is famous for Yoko no Matsu, the National Natural Property. 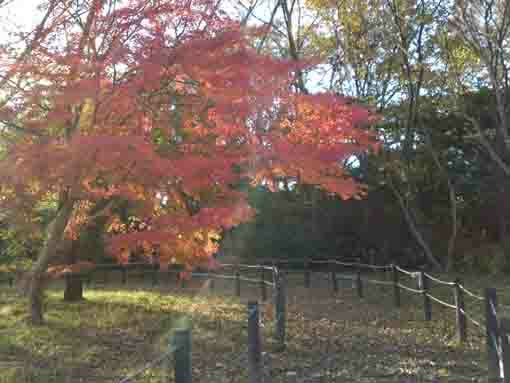 It has beautiful nature in every season and legends related to the Battles of Konodai. 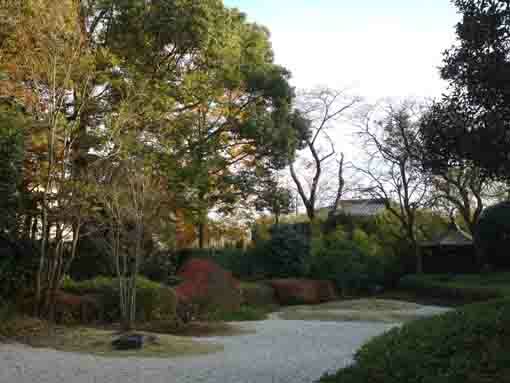 Genkoji Temple, a branch temple of Ryogoku Ekoin has a beautiful garden and a mordern main hall with CafeTerrace Ekoin. 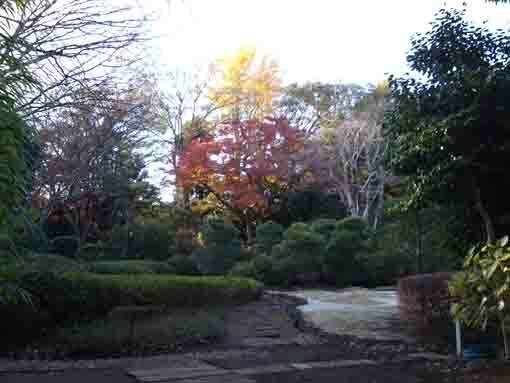 They are in Nogikuen Park and Sairenji Temple in Yagiri.